A beautiful 2 story. Beautiful curb appeal is only the beginning when looking at this design! As you walk into the foyer you can feel and see the openness of this plan. As you look into the great room it is then that you realize the extent of this area. This space encompasses the dining room and kitchen as well filling one entire room. An office off the main foyer is a great place to run an “at home” business or just relax. A half bath and cubby area off the 3 stall garage is a convenient place to drop coats and backpacks upon entering. The second floor houses 4 bedrooms, including the master suite and bath, a second full bath, plenty of closet space and a laundry room. SKU: TS-445-12. 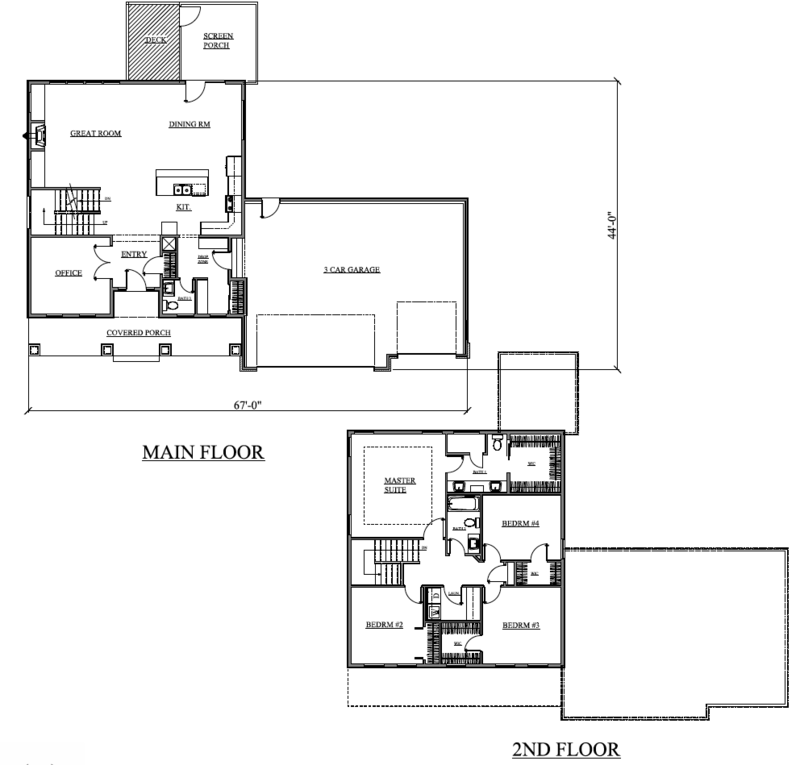 Categories: 2 Story, 2.5 Bathrooms, 2001 - 3000 Sq. ft, 4+ Bedrooms, All Bathrooms, All Bedrooms, All Sq. ft., All Styles.